If you’ve wondered about these intriguing creatures or wanted to get your hands on some alpaca items, then the MOPACA Show is just for you! It’s held at the Hale Arena at the American Royal Complex in Kansas City. Exhibitors from around the country will be bringing their best alpacas to compete at this very popular show, all vying for the blue ribbons and champion purple banners. The barn will be full of pens of alpacas, and their owners will be delighted to discuss their animals with you (beware, they might talk all day!) and if you’re lucky, you may get an alpaca kiss! Besides the animals, there are plenty of vendors, many with alpaca products to sell – you can do your Christmas shopping for next year! Then there are the Fleece and Fiber Arts shows to inspect and see the beautiful harvest that these animals produce and what fiber artists can create from the fiber. As usual there will be demonstrations of spinning, weaving, knitting and other fiber arts provided by members of local weaving and fiber guilds. 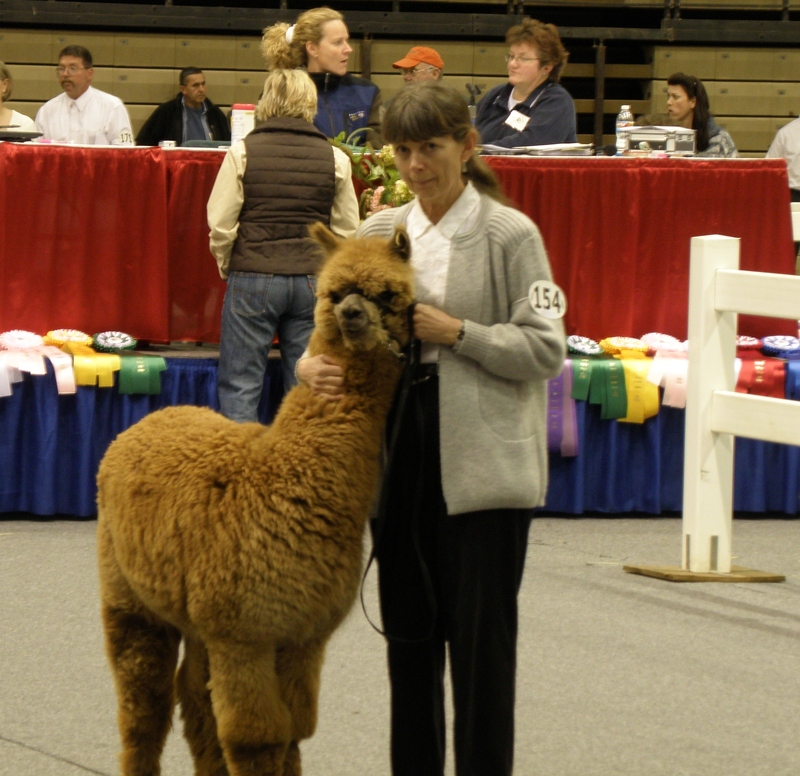 If you are perhaps thinking that owning alpacas might be in your future, come and join one of the Alpaca 101 sessions. There will be two on Saturday, 10:00 to 11:00 and again from 2:00 to 3:00 and one on Sunday at 10:00. Alpacas at Willowbrook Farm will have a vendor booth and Jeanette will be happy to show you all the yarn and roving from our alpacas. We will also have some select finished goods for sale. Meanwhile, Jim will be with our show animals in the barn and will be happy to talk to you about them and our farm.